BIRDMAD: Norfolk - missed one got one!! Left early today for the red-flanked bluetail at Waxham. Got there at 09.15 but went the wrong way. Spent a long time on the dunes. It didn't matter because the bird wasn't there. 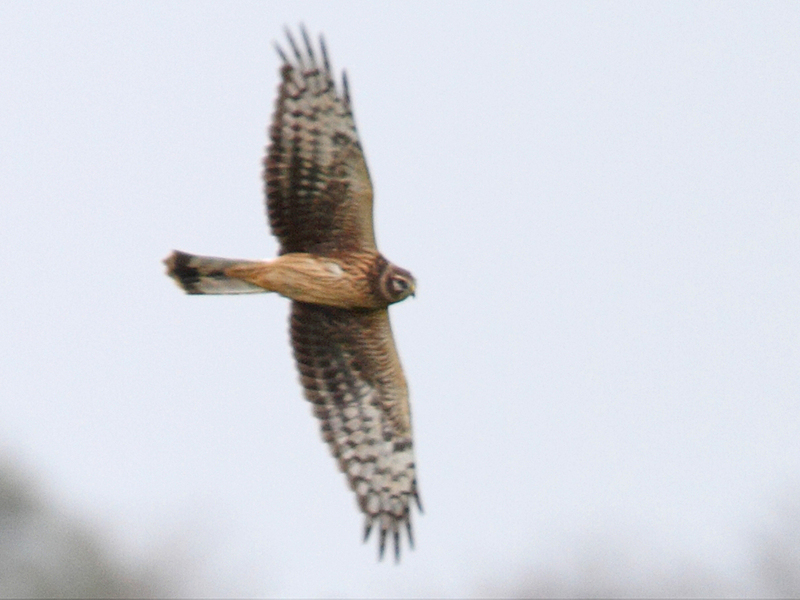 A ringtail hen harrier quartered the nearby field. 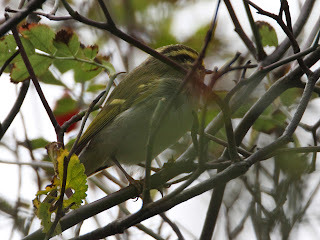 As backup, went to see the Pallas's warbler at Warham Greens. That wasn't there either. 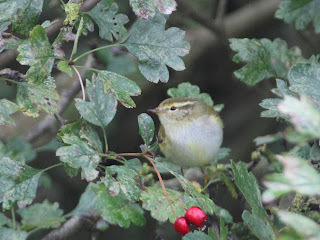 There was a yellow-browed warbler though. As I hadn't got a shot of the one I saw for a millisecond at Holkham a couple of weeks ago, I decided to see if it would show. At the 'pit' the bird had been seen a few minutes before my arrival. I waited with the others and after a while a brambling appeared. After a little longer the yellow-browed warbler appeared but it was very mobile and kept darting in and out of the ivy. I did get a shot but it was a little distant. I clearly wasn't going to get a better one so I headed back to the car as I had a long way to go. I had almost got back to the car when I met a couple I had seen earlier. Just at that moment the man saw the Pallas's warbler in the oak tree right by my car. 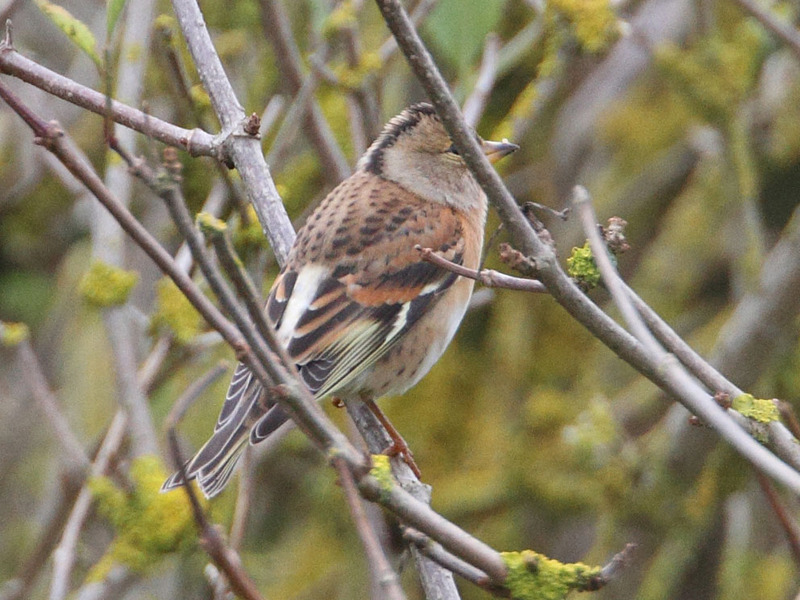 I quickly got onto the bird in my binoculars, but it was even more mobile than the yellow-browed warbler!! It was in the top of the tree just below the canopy and then flitted in an out of the bushes giving tantalising views of its sillouette. Finally it flew to the bushes on the other side of the track and I was able to take a quick shot before it disappeared again. Well, the day hadn't been too bad after all.